Have new posts delivered directly to your inbox. Spam belongs in a can, not your inbox we will never share your info. Thanks to Walgreens for underwriting this post. I was paid as a member of the Clever Girls Collective, but the content is all mine. Visit discoverbeautywithin.com. Summer is right around the corner and these freshly burned shoulders are a reminder its time to break out the sunscreen. I love the ease of summer, less hair dryer more beach hair. I like to keep my make up simple. Most of the time I use just 5 things, tinted moisturizer, mascara, eyeliner, tinted lip balm and a bronzer. That’s it. Here’s a few more Summer Beauty Tips. 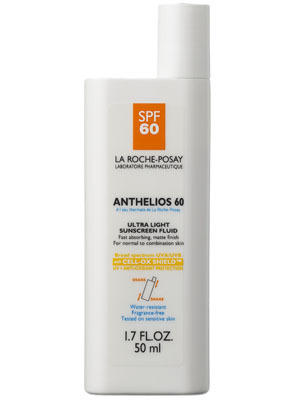 Face – I used a light tinted moisturizer pretty much year round but in the summer when I need a higher SPF I will usually spend a little more and go with a high end sunscreen for my face, I like Le Roche-Posay Anthelios SPF 50 and if it looks a little chalky I’ll add tinted moisturizer over it. Eyes – Everyday it’s the same plum liner, Almay has a eyeliner/highlighter combo stick from their Wake Up line. I like products that pull double duty. Going out its a basic eye with dramatic eye liner. I pick a neutral base shadow and add plum or brown in the crease. Add a swipe of Rimmel Glam Eyes Liquid Liner for that popular Adele “cat winged” look and I’m done. TIP If you are over 40 chances are you probably avoid cake eye shadow and if you don’t YOU SHOULD! Dry shadows tend to make older eyes look like a dried up lake bed magnifying every wrinkle and crease. I found that if I add a tiny dab of Aquaphor over the powder eye shadow it instantly hydrate’s giving my eyes a fresh dewy look. Lips – I use Burt’s Bees tinted lip balms, they have a great selection of lip balms and glosses colors and all the products are 100% natural. You can even dab a little on your cheeks instead of dry powder blush. 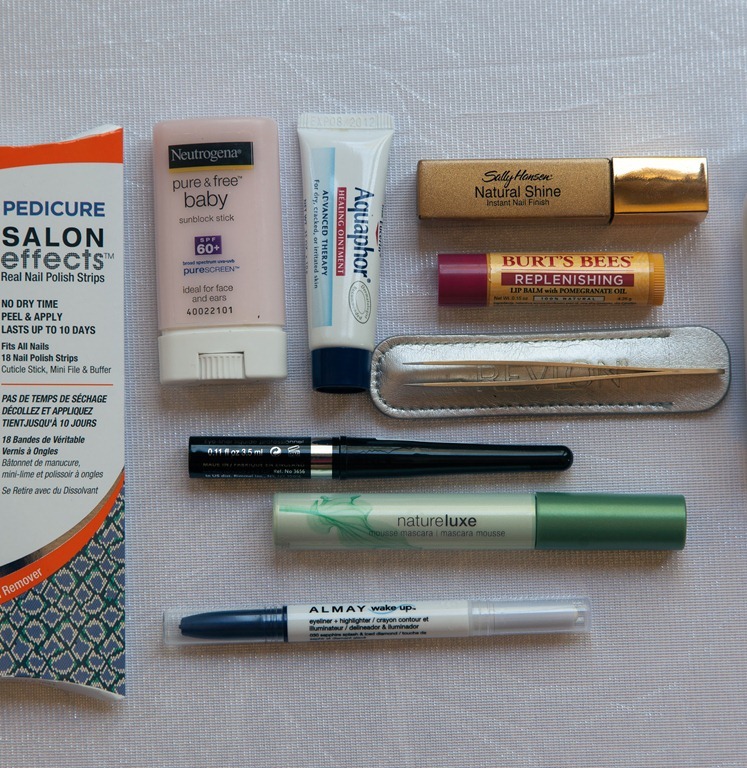 It’s a one-in-every-bag kind of product for me. Hair – ALWAYS wear a hat and find a spray that has SPF for your hair to avoid color fade . You can reduce the amount of times you need to wash your hair by sprinkling a little bit of powder on a brush and combing it through oily roots, its an inexpensive dry shampoo. They also make colored powder for dark hair (love that). 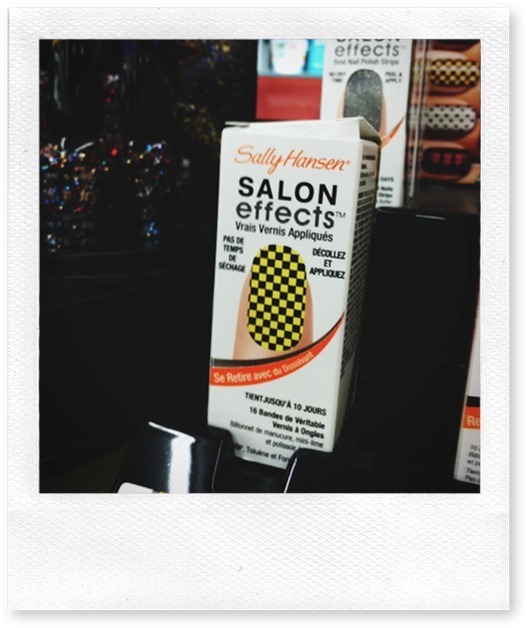 Nails – I love Sally Hansen Natural Shine, I call it the 1 minute manicure. Its that fast. 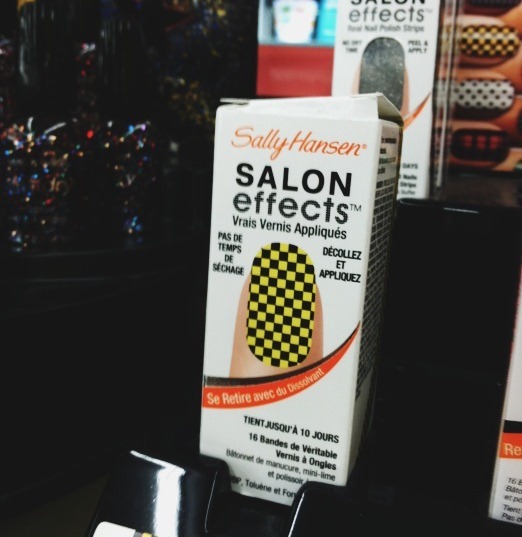 Have you seen Sally Hansen Salon Effects Nail Polish Strips? Basically it’s a peel and stick polish, they stay on for longer than the guaranteed 10 days and getting them off is doable with polish but its work. I really love them, for ten bucks it’s a manicure that lasts easily over two weeks. They came out with two new series, Rock of Ages and the Avril Lavigne collection, I love the yellow taxi cab checkerboard. Also new? the PEDICURE version, I bought the purple snakeskin design I’ll let you know how it goes. 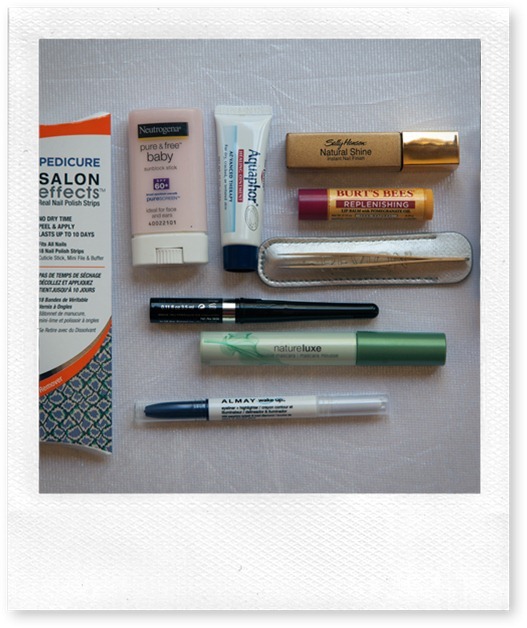 So tell me do you have any summer beauty tips that would help me simplify my routine? Visit Lindsey Garrett's profile on Pinterest. © 2010–2019 LINDSEY GARRETT ALL RIGHTS RESERVED.